Aliens attacked Spunky's home and that was their big mistake! The super dog will tear them apart! 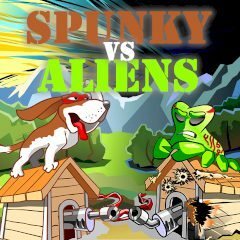 Help Spunky defeat all the alien invaders!